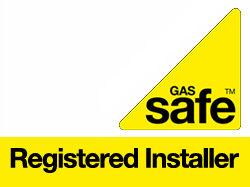 We are proud members of , Which trusted trader, Gas Safe and Check a Trade. We are an accredited Worcester installer. We take care of all your plumbing problems however major or minor they may be, repairing anything from leaking pipes to fitting a new bathroom suite, just a phone call away 24 hours a day 7 days a week. In order for your gas fire to work safely and efficiently, you should have it serviced every year. If your flue becomes blocked, you could be at risk of Carbon Monoxide poisoning. Having your fire serviced will ensure your fire is in good working order, but most importantly is safe. To keep your boiler working safely and efficiently at all times, it is recommended your boiler is serviced once a year. An annual service is a cost effective way of extending the life of your boiler, reducing its running costs and reducing the risk of a breakdown. If your boiler is covered by a manufacturer warranty, it is essential you have a boiler service done once a year to keep your warranty valid. Specialist in boiler replacements, repairs and servicing, fire and cooker installations and all plumbing work. Friendly efficient are quality driven service that can be tailored to meet your requirements. The main duties of a landlord is to ensure gas fittings and flues are maintained in a safe condition. 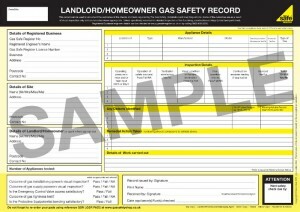 It is recommended that appliances are serviced annually by a Gas Safe Registered engineer (so your on the right page). The record of each safety check should be kept for at least two years. A copy of the latest safety check record should be issued to the existing tenants within 28 days of the check being completed, or to any new tenant before they move in. Do you need a Landlord’s Gas Safety Check (CP12) for your rental property? Call us to have your annual Gas Safety inspection checks professionally carried out by a Gas Safe Registered engineer and help ensure that your gas boiler is safe for tenants to use. Appointments arranged to carry out the check at a date and time that’s convenient for you and your tenant.